Written by May Prior on 09 March 2015 . Harry Barker and Rod Evans have built a lych gate as an entrance to the churchyard at St Mary's Church at Forncett. They started this project in October last year and it is now all but complete. The Bishop of Norwich has agreed to lift the restriction on marriages at St. Mary's, so weddings can now take place without the need for a special licence. Written by May Prior on 11 December 2014 . Over 100 people enjoyed 'Carols by Candlelight' in St. Peter's church on 5th December. Traditional readings and carols were mixed with Christmas songs performed by Dolce choir, led by their musical director Philip Aldred, and included Gaudete and everyone's favourite, O Holy Night. Thanks to everyone who donated mince pies, and to Paul Lanaway for helping serve mulled wine after the service. Written by Claire Jordan & Judith Jones on 28 November 2014 . 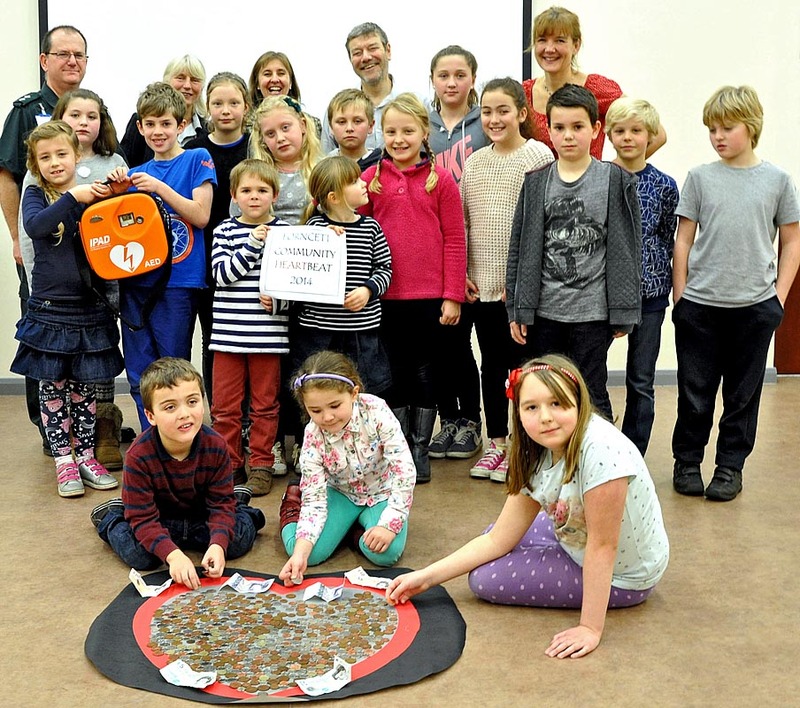 Excited children at St. Peter's Primary in Forncett have brought envelopes of pocket money into school to help raise funds for the village defibrillator. A special assembly was held today during which the children listened to a talk given by Steve Hammond of the East Anglia Ambulance Service Trust about the heart. Steve brought along a defibrillator and showed the children how it is used on a training dummy. The children were very interested and asked many questions during the talk. 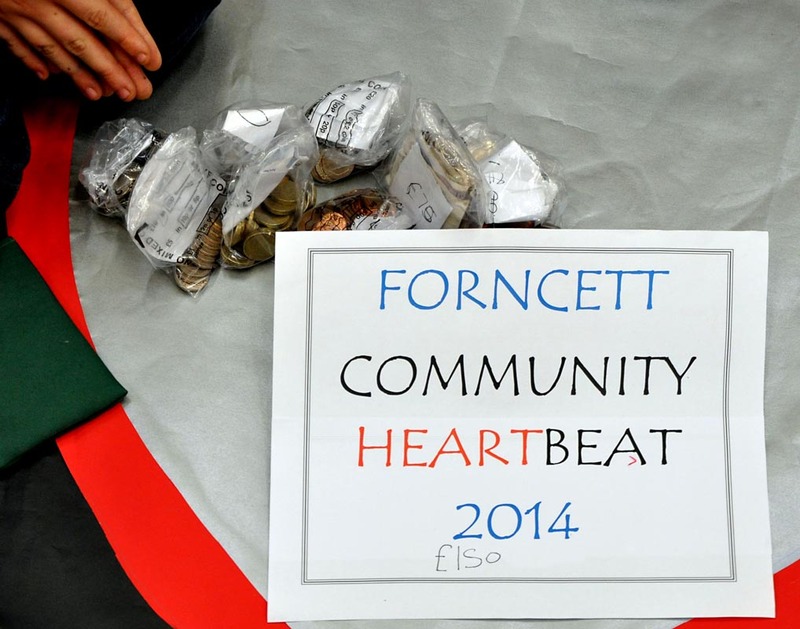 Following the assembly, children representing the School Council arranged the collection of coins and notes onto a large heart shape. Finally the children sorted and counted the coins and a total of £150.00 was found to have been raised. The defibrillator is being provided by the Community Heartbeat Trust and will be installed in the old telephone box opposite the school and church. The project has been led by a Forncett couple, Julia Hill and Keith Fromings, and has been quickly embraced by the local community and £2,000 has now been raised with help from the Parish Council. It is hoped that it will be up and running very shortly.